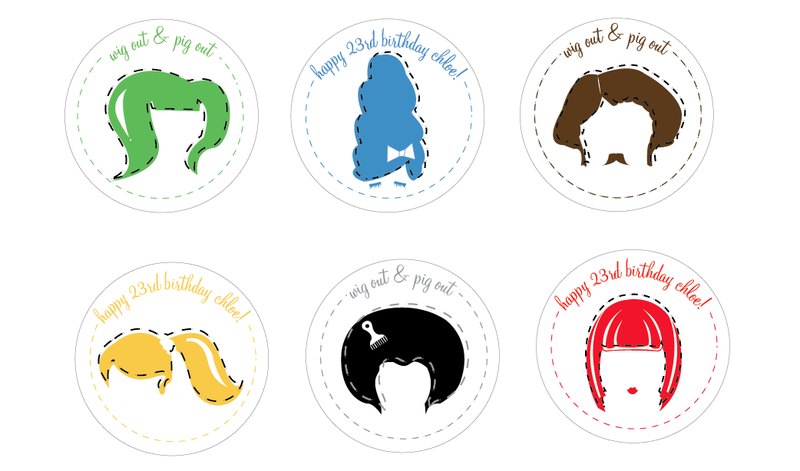 I’m making cupcake toppers (and cupcakes) for a wig party this weekend! Have you ever heard of such a thing? I certainly haven’t but I’m so excited to be a part of it. Just wanted to share the cute little wig graphics I made…I really like how they turned out. More on the cupcakes and party later. xoxo! Do you have any pics from your party? I love the toppers – trying to come up with an invitation!